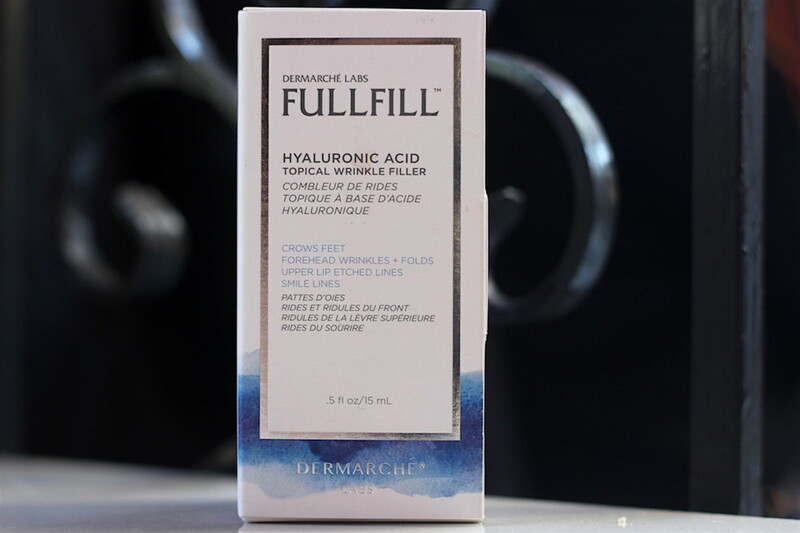 This Fullfill topical wrinkle filler comes in a 0.5 oz bottle and is sold at Sephora for $89 with a claim that it will “improve the appearance of your skin’s natural volume painlessly over time.” That translates to fewer lines and wrinkles, especially in areas like the forehead, around the mouth and at the crow’s feet, not just at the time of application but over time as you continue to use it. No trips to the derm (or needles!) necessary. For such a small amount of non-Rx product paired with not so small of a price-tag, it’s really not something I would have purchased for myself. When it was sent to me for testing though, I have to admit I was intrigued. Especially after I did some online research. I read reviews from women who had stopped using injectable fillers and Botox after consistently using Fullfill for some time, it was THAT good. I also read its delivery system was unique and allowed product to penetrate into skin in a way topical hyaluronic had not been able to prior. I also read the negative comments. Some did not see any difference and many said the product pilled under makeup. I started using it to see for myself. I tested it for over a month and I only used it once a day and very sparingly. I really couldn’t determine whether it actually changed my skin over the month or if each time I used it, it just plumped it up again – but I did see a visible difference around my eyes mostly, which is the area that bothers me most. After applying the gel-like serum, my undereye area seemed much less crepe-y. The skin actually looked bouncy and thicker. Not thin and gaunt. For me, that was a big deal. Big. I also read while testing it that applying topical hyaluronic acid over a vitamin c serum somehow amplifies the effects of the serum and both products work better in tandem. So I started to apply the Fullfill gel over my Skinceuticals C E Ferulic and, overall, I think my face did look brighter and more even than when I used the C E Ferulic alone. Score. 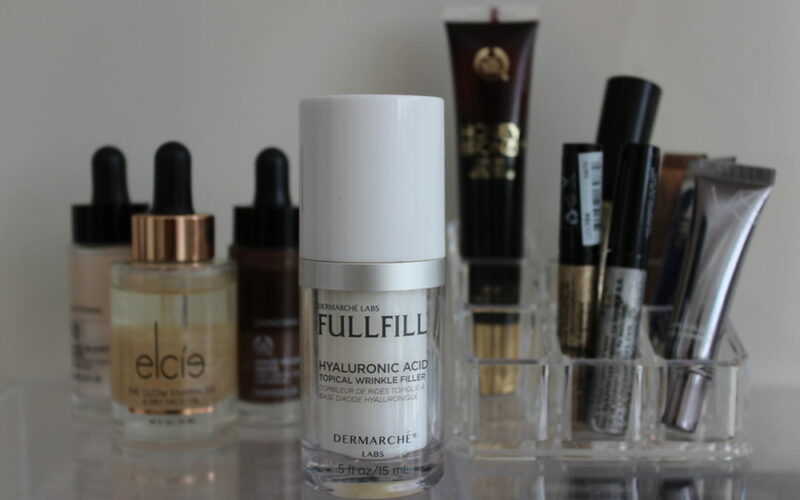 I also found the Fullfill laid nicely under makeup, despite some criticism to the contrary, and actually served as a great makeup primer since it really plumps the skin. It created a more even canvas for tinted sunscreen or foundation or concealer or whathaveyou. I did not have any pilling issue. I guess if you use more than a very thin layer and don’t apply solely to select target areas, maybe it would pill. But why waste product when you only need a teeny dab?? The net-net. I could not in all honesty say this product is an alternative to a dermatologist if you truly want to eliminate the appearance of wrinkles or if you want to noticeably restore volume to areas that lost it, but I would say if you’re not ready for needles or you want to prolong the time between derm appointments, this is definitely worth trying. It also, obviously, will give you a much more natural-looking result. And even though it does not seem to contain much and is somewhat pricy – it does its job, and I still shockingly have a lot left in the container! Let me know how it works for you. I’ll be over here biding my time til topical Botox hits the market! Your Cruelty Free Eyeliner Roundup!